As we welcome spring to the Terre Hill Park this year make sure you download a copy of the 2012 Terre Hill Days Committee events schedule. 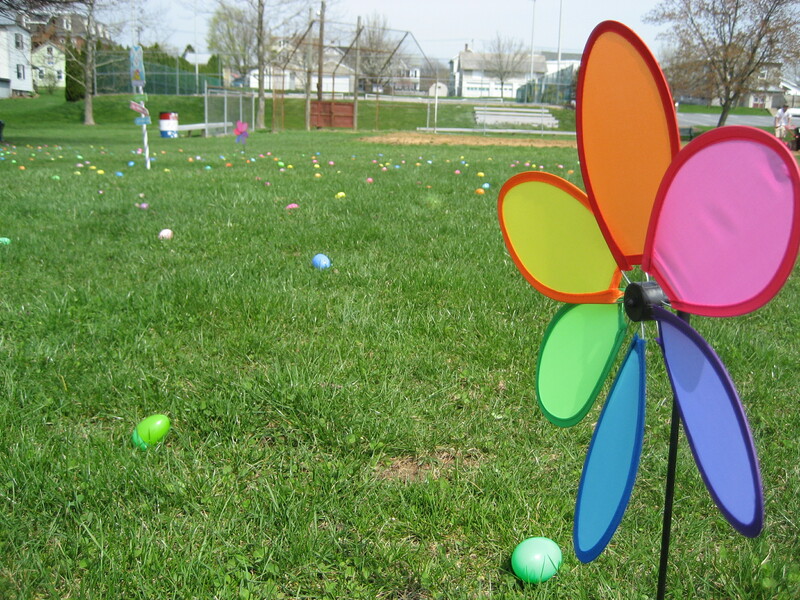 Of course, our first spring event is our annual Easter Egg Hunt, coming up on April 7th at 1:00pm. We welcome donations of cooked and colored eggs as well as a plastic eggs filled with wrapped candy or coins. Donations may be dropped off at the Terre Hill Park pavilion the day before the hunt. Get ready, we have an exciting year in store! All proceeds from Terre Hill Days committee events benefit the park and playground, and sponsor children activities such as our egg hunt and Santa’s Workshop. We are looking for volunteers to serve on our committee and help at our events. Contact volunteer@terrehilldays.com for more information. Thank you for your support! We’ve changed our look and are busy adding new content. We hope this new website will be more user friendly and provide you with more ways to interact with the Terre Hill Days Committee!